Living donation activity has been increasing worldwide, which implies new challenges and scenarios concerning ethical, legal and protection aspects of living donors. This fast increasing and the worries that are raised by the new dilemmas, has compelled the experts and scientists to create consensued documents, as it has been demonstrated with the Amsterdam and Vancouver forums, as well as Istambul and other referents. International organizations as The Transplantation Society, the World Health Organization or the European Commission have expressed their concerns about the ethical and legal issues related to living donors. There is a general consensus about the need to forbid any organ or human trafficking as well as transplantation tourism. Statements have been made also about the convenience to minimize psychological and social risks for living donors, to establish long-term follow ups or to monitor and register living donors and protect them from transplant tourism or trafficking. However, there is no evidence of a stable research group without geographical limitations. This is transcendent because it allows the enrichment of other countries’ experiences, which have different realities, challenges or conflicts due to the vast heterogeneity. LIDOBS is born from another research group which is already consolidated, that was created in the EULID project with the continuity of ELIPSY project. LIDOBS boosts and gives persistence to this line, adding also new issues and proposals. The group is focused on living donors and its members profiles are transplant coordinators, nephrologists, hepatologists, transplant surgeons and other phisicians and/or nurses involved in transplant programs. All of them are working actively in living donor programs. 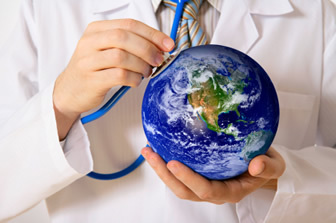 All the members have an interest to work in the establishment of consensus among professionals regarding ethical, legislation and protection practices, as well as improving the quality of the procedures by monitoring living donors through follow-ups and registry, in order to protect living donors’ health and safety.